I don’t get the whole Kaesong fixation. North and South Korea have moved a step closer to reopening a joint industrial complex, raising hopes of improving relations on the peninsula. Pyongyang and Seoul vowed on Wednesday to “actively” co-operate so that operations could resume, although their statement did not indicate when the Kaesong complex, in the North’s third largest city, might reopen. The news followed six failed rounds of talks on the issue. Pyongyang said last week that it would reopen the zone – minutes after Seoul indicated it was willing to see the facility closed permanently. Kaesong was the last symbol of inter-Korean engagement until this spring, when tensions soared with the North threatening nuclear strikes against the South and the US after sanctions for its third atomic test in February. It then pulled its 53,000 workers from the site. Seoul’s chief delegate, Kim Kiwoong, told South Korean media that Wednesday’s joint statement was “not the end but a beginning”. Unexpectedly, Seoul and Pyongyang said they also sought to attract foreign companies adding that internet and mobile phone connections would be added to the site. North Korea has sought foreign investors for other economic zones, but companies are likely to be even warier of Kaesong after the four-month shutdown. One of Seoul’s key demands has been a reassurance that Pyongyang will not pull out its workers again. But has ever a negotiation been conducted in such bad faith by both sides. Seoul looks especially hypocritical – and that’s quite a feat considering Pyongyang’s tactics. 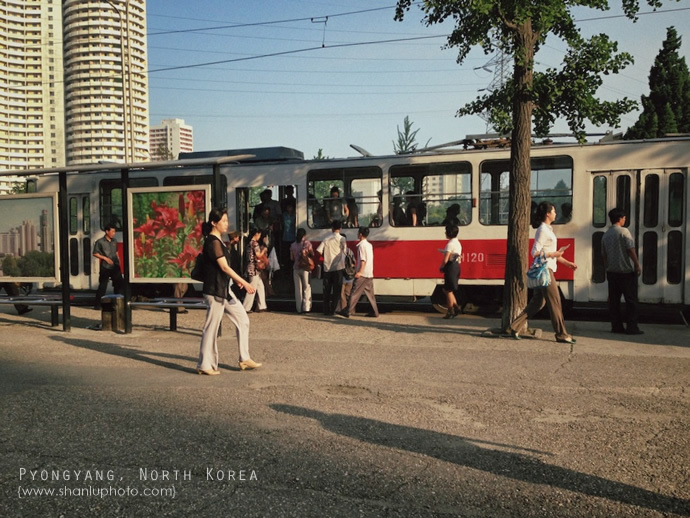 Mind you, judging North Korea by photographs taken in Pyongyang is like judging America by the standards of Walt Disney‘s imagination, but Chinese photographer Shan Lu catches a glimpse of Pyongyang’s urban life when North Koreans weren’t scurrying away (via Witness to Transformation). It seems North Koreans are still going with the “vomit every bright color” strategy of marketing, a style rarely seen in South Korea these days, except in the bowels of older public markets. Stephan Haggard does a standup job analyzing the results of the Sunnylands summit between Xi Jinping and Barack H. Obama. The interesting feature of Xi Jinping’s response was the modified version of the “peaceful rise” foreign policy line, which emphasizes standard liberal arguments: that globalization and the pursuit of economic well-being and opening and reform will require cooperation on the international stage. Emphasis throughout Xi’s response was on the variety of channels to be tapped, including a specific mention of deepened mil-mil relations that Obama also sought to underline. 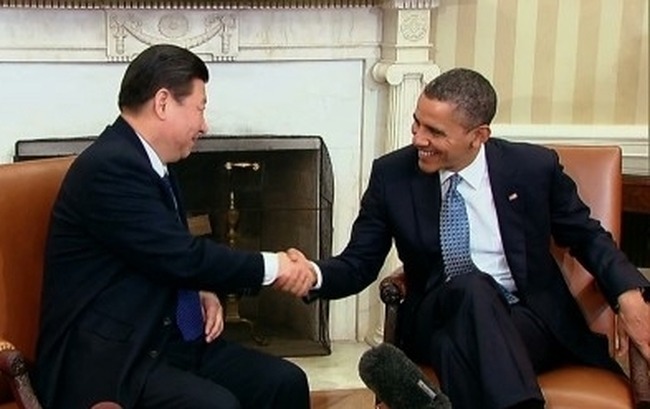 Xi made reference to constructing a “model of major country relationship [sic],” the apparent new characterization. But also lurking was the reference to “the Chinese dream of the great national renewal” and the uncertain shape that Chinese nationalism would take during the Xi years. Donilon made it clear at the outset that the meetings should be seen in the context of the US rebalancing to Asia, now clearly the favored formulation over “pivot.” Although a changed relationship with China was a piece of the rebalance from the start, that piece sometimes got lost amidst the other actions the US felt it needed to take to counter a period of clumsy assertiveness in Chinese foreign policy over the last three years. Donilon traced the process of getting to the summit, which included a sustained effort at high-level re-engagement through visits by Secretaries of Treasury and State Lew and Kerry and Chairman of the Joint Chiefs Dempsey. (Chuck Hagel delivered the somewhat more forward, tough-cop messages at the Shangri-La dialogue in Singapore). On North Korea, the denuclearization message has been standard fare among major media outlets. But, it’s clear Beijing and Washington are agreeing to disagree, and that their clients, North Korea and South Korea, followed their protectors’ lead.